Now's your chance to get featured in a cool comic book. 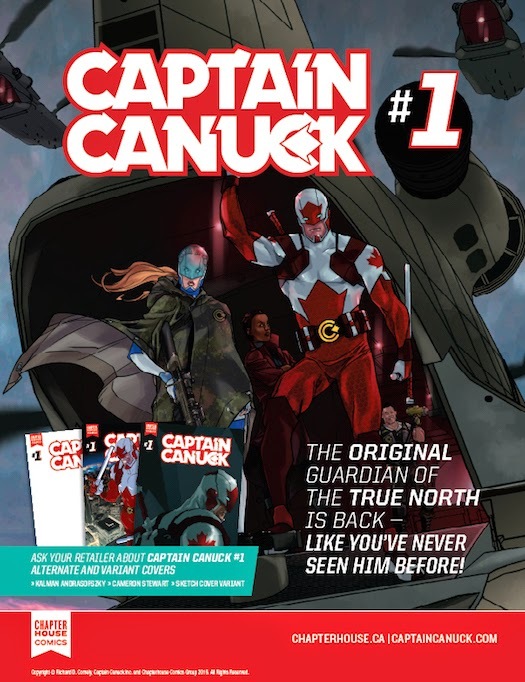 The publishers of Captain Canuck will select 10 fan art submissions to be featured in upcoming releases of the new book. Draw Captain Canuck or any Canuck Universe character and submit it to them following the guidelines outlined on the contest page. Entry is free. While you're there, check out the Captain Canuck web series. Hope you enjoyed the Captain Canuck Free Comic Book Day title as much as we did.